I’ve lived on my own for the past two years now, and let me tell you - eating well has always been a challenge. I have trouble boiling water, let alone cooking a well-balanced meal for myself on a college student’s budget. However, over the past couple of years, I’ve learned (through a lot of trial and error, mind you) that having $10 in your bank account for the next week doesn’t mean you have to starve or live off of ramen. I’m here today to share with you my secret weapons - recipes that are cheap, easy, and delicious as hell. I know what you’re thinking - “cheap, easy, AND delicious?” It sounds too good to be true, but I promise you these 5 recipes will make eating at home a breeze. If you know me, you know Indian food is my absolute weakness. Ordering delivery used to cost me around $30 before I discovered this recipe that is 3x cheaper and is ready in about 15 minutes, give or take some simmering time. Just stop by your local grocery store (King Soopers has never let me down), pick up some of that pre-made minute rice, jarred tikka masala sauce, and your protein of choice. I usually opt for chickpeas since they’re $0.69 a can (and I have an irrational fear of undercooked meat), but chicken or veggies will taste just as good. Prepare the rice in the microwave, and while it’s cooking heat up a skillet and cook your protein or veggies. Once they’re almost done, pour the sauce over them and let them simmer until hot and ready. 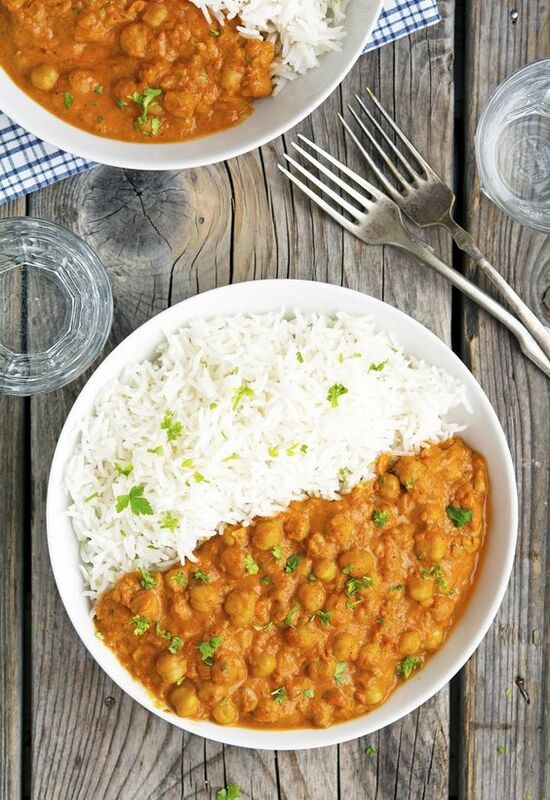 Pour over the rice, and you’ve got yourself a hearty Indian dish that will keep you full and satisfied for hours. 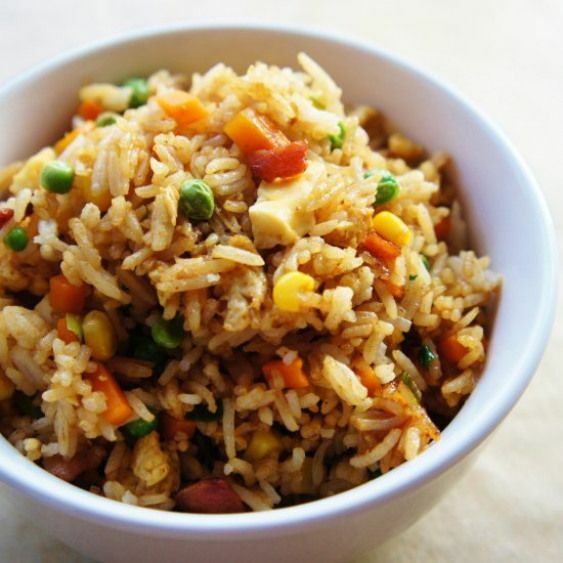 This fried rice is literally too easy to make. All you really need is some microwave rice, soy sauce, olive oil (grapeseed oil is even better if you have it, but also pricier), and an egg. Cook the rice in the microwave, and make the scrambled egg in a skillet while the rice is warming up. Once it’s done, add it to the pan with some soy sauce and oil (I’d include precise measurements, but we all know you have to measure it with your heart). In less than 5 minutes, you’ve got a super basic fried rice. Add whatever veggies you’ve got lying around - or even pineapple, if you’re weird like my boyfriend is. It’s great on its own or with protein, and so simple a child could make it. 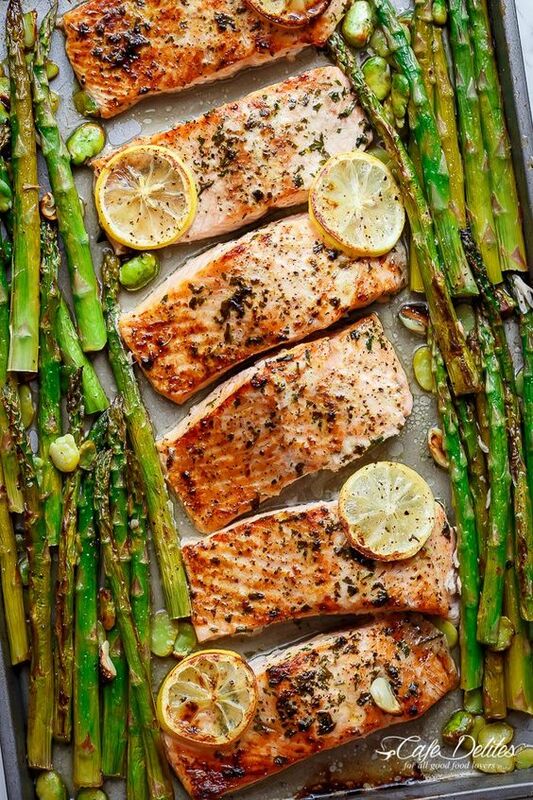 I’m a pescetarian, so salmon is my go-to protein for every meal that isn’t breakfast. Besides it being healthy and delicious, it’s also so much easier to make if you have an oven. Just season and oil it up - I use olive oil, salt, pepper, minced garlic, and sometimes lemon slices if I have them, but you can go as basic or as complicated as you want to. Then, pop it in the oven at 400-415 degrees for roughly 12-15 minutes or until it flakes when you stab it with a fork. Once it’s done, take it out of the oven and serve it over whatever you want - a bed of spinach, some of that minute rice, or even pasta. It’s a constant crowd pleaser and takes much less time than you’d think. Listen, I hate greens as much as the next person, but this stuff is SO good. I could literally eat it next to every meal (even breakfast if I wanted), and it takes around 10 minutes MAX to make. 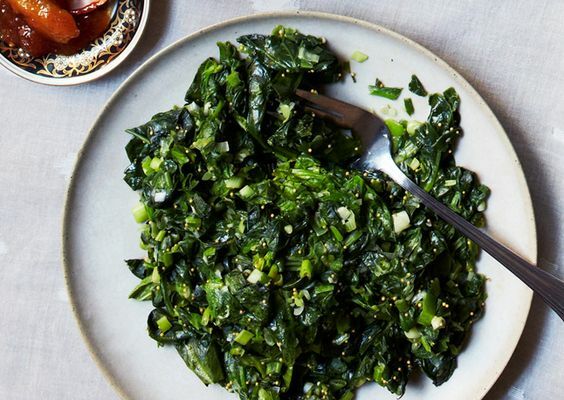 If you find yourself struggling to take a bite of that salad that you really didn’t even want to buy, opt for this instead and you’ll be getting your greens in a much more pleasant way. You need three ingredients: spinach (baby spinach is my favorite), olive oil or any oil you have, and chili sauce. Just heat up a pan, add enough oil and chili sauce to coat all the spinach, and add the greens once the oil is just hot enough. You’ll know the spinach is cooked when it shrinks to about 1/2 the amount you put in (feel free to add more as you cook), and then you’re done. Eat it over whatever carbs your heart desires - I love it over rice with a fried egg added for extra protein. I also pair this a lot with baked salmon, and I’ve yet to receive anything but rave reviews. Your body and wallet will thank you. If you don’t see yourself as someone that’s capable of cooking, you aren’t alone. When I was in high school, I was so bad at cooking that my parents joked I’d never survived in college. Now, I send them pics of all the amazing meals that I make myself (mostly to rub it in their faces). These meals are easy as hell, and you can pick up all of the ingredients in a single grocery run. Plus, most of the meals listed above will give you plenty of leftovers for the week. Try them out, and you’ll finally be able to stop living off of ramen and instead look forward to cooking when you get home. And hey, if you fail, Cosmo’s is always open. Madison is currently a sophomore at CU Boulder, working towards a major in the CMCI school in Strategic Communications on the media design track as well as a minor in fine art. She's been a HerCampus writer since her freshman year, and this year she is also lucky to be an Aerie Ambassador for CU's campus. At CU Boulder, Madi is focusing on learning graphic design and illustration and has plans to one day become an artistic director. She's had a love for writing since she was three years old and is thrilled to be a part of the HerCampus community. Her passions include dogs, tattoos, art, and running her finsta.